This week we have a review of another mystery perfect for Halloween reading, Séances are for Suckers By Tamara Berry, and we have an interesting interview with Tamara. Details at the end of this post on how to enter to win a copy of Séances are for Suckers along with a link to purchase the book from Amazon, and an indie bookstore where a portion of the sale goes to help support KRL. Just like it says on her business card, Ellie Wilde’s Eleanor’s Cleansing Service rids homes of whatever is haunting her clients. If that happens to be rats in the attic or mischievous teenagers playing pranks, at the end of the day everyone is still satisfied. It, of course, helps that Ellie dresses for the part and enhances her efforts with a cold-air blasting portable air conditioner and 21st century technology. It’s also why wealthy Nicholas Hartford III has come to hire her to convince his mother that their ancestral home is not haunted, or failing that, exorcise the castle of ghosts. Nicholas doesn’t care whether or not Ellie’s abilities are genuine, and in fact, would prefer that she simply put on a good enough show to relieve his mother’s worries. It takes a crook to catch a crook, and a very cynical Nicholas is willing to pay generously for Ellie to identify who is pretending to haunt Castle Hartford. Ellie never set out to be a fraudulent psychic and medium, and in truth, she came to her profession honestly. For over a decade her sister has laid in a coma, the result of a car crash that left a then eighteen-year-old Winnie unresponsive and wavering between life and death. Ellie spared no expense at attempting to communicate with her triplet sibling, which is why Ellie is so familiar with the ways of con artist occultists. While their brother may distain of her pretense, his salary as an elementary school gym teacher does little to contribute to the insurmountable medicals costs. The lucrative incentive being waved in front of her by Nicholas is what has Ellie jetting off to England to scare away an imaginary ghost, although she soon finds that it has been created by very living human hands. Ellie knows how to put on a show, but a far more deadly one is being put on for her when she discovers a disappearing body, very old bones, and an intelligent but unbelievably named Inspector Peter Piper. Ellie emerges as one of the most unique, acerbic, and often heart-breakingly funny characters in mystery fiction. Her razor-sharp wit and cynical attitude hides the pain and guilt she feels over the fate of her sister, who was always the peacemaker of the family. Having lost nearly her entire family in the car wreck, Ellie can’t help but envy the legacy of the admittedly dysfunctional Hartford family. The highlight of this first of a series is the relationship between Ellie and Nicholas, with their fast banter and sharp barbs only highlighting the romantic sparks that fly when they meet. Nicholas is as vulnerable as Ellie, although she has painfully learned that hope, optimism, and faith are traps that result in pain and sorrow. As perplexing as the puzzle of the haunted Castle Hartford is the complicated personalities of Nicholas and his hired psychic Ellie. Ellie may attempt to hide her generous heart with a veneer of jaded pessimism, but the lessons she learns about herself and the world ensure for extraordinary adventures in her future. Tamara: This November marks the 10th anniversary of when I began to write with the intention of being published. Like so many aspiring authors, I signed up for (and won!) NaNoWriMo to keep myself on track. That first book is a travesty of everything self-indulgent and overwritten, so it will never see the light of day, but it lit a creative fire that has yet to burn out. I’ll always be grateful to it for that. KRL: How fun! When did your first novel come out? What was it called? Can you tell us a little about it? 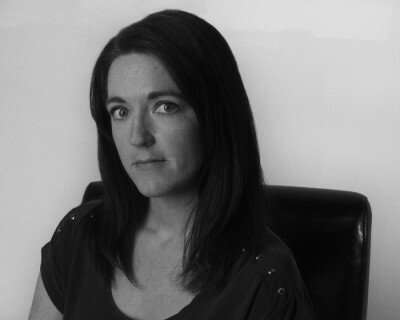 Tamara: Before I started writing mysteries, I was a romance author (writing as Tamara Morgan). I’ve published quite a few books under that nom de plume, starting with a romantic comedy called Love is a Battlefield. It’s about a modern-day Jane Austen re-enactment group battling a Highland Scottish Games outfit over a plot of land for their annual events. With love, of course. Tamara: I started out in strictly romantic comedy territory, but quite a few of my later romances took a turn toward suspense. My latest releases were a three-part romantic mystery series about a jewel thief married to an FBI agent, so it felt like a natural progression to go full mystery after that. 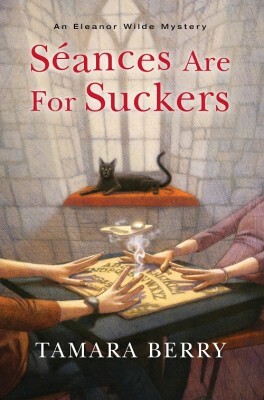 Tamara: Séances are for Suckers is the book of my heart, by which I mean that the main character is a con woman who in no way, shape, or form believes in ghosts, and who makes her living pretending to get rid of domestic hauntings. I got to take all my favorite things—quaint English villages, crumbling castles, Gothic literary references, and Victorian spiritualism—and put them into a modern-day mystery. I adore it. Tamara: The best thing anyone can take away from one of my books is an entertaining time. If that’s all I accomplish, then I feel good about the work I’ve done. Of course, if readers get more, that’s great, too! I tend to toy with the themes of good/bad and right/wrong, particularly as they relate to people. In fact, one of my favorite things to do is use moral ambiguity as characterization. We’re all complex, layered people who are the heroes of our own stories. I like to ensure that my characters—even the minor ones—are the same. KRL: Do you have a schedule for your writing, or just write whenever you can? Tamara: I have a 13-year-old daughter, so a lot of my writing is done at volleyball practices and theater rehearsals and doctor/dentist waiting rooms. I set a daily word count goal for myself and force myself to hit it. Ideally, this is done early on so I can use the rest of the day to concentrate on other tasks. Realistically, I waste a lot of time on the internet, so I scramble to get the words in wherever I can. KRL: Do you outline? If not, do you have some other interesting way that you keep track of what’s going on, or what needs to happen in your book while you are writing it? Tamara: I am a fly-by-the-seat-of-my-pants writer, and I love it. I start with a fairly vague idea of the main character and the direction I’d like the book to go, and then I let loose from there. I almost never outline any part of the book, and it’s rare for me to know who I want the bad guy to be until I’m about 75 percent of the way in (and even then, I’ve been known to change my mind at the last minute). I’m not good at notecards or plotting boards or even writing things down. Instead, I just keep track of it all in my head—every character, every red herring, every twist, and every turn. It’s probably not the most efficient way to go about things, but it’s the only way that works for me. Plus, it’s really fun to find out who the murderer is at the end! Tamara: Although I wouldn’t call myself a “morning person,” I’m happiest writing before noon; and then it becomes a sort of spiraling descent of productivity from there. In fact, once it hits around three o’clock in the afternoon, every word becomes a painful slog. Tamara: Oh, yes. From the time I finished my first book to the time I had one published, I’d gone through two agents, three manuscripts, and more rejections than I care to count. But each rejection brought me one step closer to being published, so I can’t regret them! Tamara: At the time when I was querying agents with my Jane Austen re-enactor battling a Scottish Highland Games athlete book, there was this viral video going around called Jane Austen’s Fight Club. One of my writer friends thought it would be a wasted opportunity not to capitalize on it, so she wrote me a query letter that shamelessly took advantage of it. It worked like magic. I got three requests for full manuscripts within a single day, and one agent even went so far as to ask if I’d made the video myself as a marketing ploy. I had to admit that I didn’t, but she laughed and said it was a smart move all the same. I ended up signing with her that week, and I still adore that video. Tamara: I haven’t done too many actual signings, but one of my favorite things to do is drop my books off at those Free Little Libraries that you can find around different towns. I keep a box of signed copies in the trunk of my car and stop every time I see one. (I also drop them at hotels and campsites where I happen to stay.) It’s so [much] fun to slip a few copies on the shelf when no one is looking—how [much] fun would it be to just grab a random book and find that it’s been signed by the author? Tamara: I’m really enjoying the switch to writing mysteries, so I hope to stay in this genre for a while. I’ve got all kinds of murderous ideas percolating in my brain, and as soon as I finish the book I’m currently writing, I plan to let them loose. Tamara: Georgette Heyer is one of my favorite authors of all time. She switched between writing romance and mysteries incredibly well, and I’d have a hard time saying which genre of hers I prefer. I’m also a huge fan of Elizabeth Peters, Deanna Raybourn, and Sherry Thomas, all of whom have been able to blend both mystery and romance really well. There’s a balance there that isn’t always easy to find, but they’ve done it beautifully. Tamara: I research the same way I plot…which is to say I don’t really make it a thing. It’s not that my books are riddled with factual inaccuracies—on the contrary, I spend a lot of time looking up things on the internet that probably have me on several government watchlists. It’s just that, instead of sitting down and doing my research ahead of time, I address the issues as they arise, and only when they arise. Things stay lively and interesting that way! Tamara: Right now, I’m on a Shirley Jackson kick. It’s the right season for her super-spooky settings and chilling tales. If you haven’t read her The Haunting of Hill House, now is a great time. Before that, I was reading a lot of Susanna Kearsley and Hailey Edwards (historical fiction and urban fantasy, respectively). I tend to read in binges like that. I’ll devour an author’s entire backlist in a few short weeks before moving on to someone new and starting the process all over again. Tamara: Oh, goodness. I’m a huge TV and movie fan, and I don’t have very discriminating tastes. I like action, romance, period dramas, comedy, BBC mysteries, musicals…you name it, and I’m in. I tend to watch TV and movies the same way I read, in that I fall into a hole and don’t climb out until I’ve seen every episode and/or installment there is. The advent of Netflix and binge-watching has been the best (worst?) thing to ever happen to me. Current favorites would have to be The Marvelous Mrs. Maisel and Ozark. Tamara: Enjoy every minute. My first book (yes, the terrible and unpublished one) was the most fun I ever had while writing. I didn’t care about agents or deadlines or royalty rates or what the current market is looking for. I just sat down and told the story that I wanted to tell. With every book I’ve written since then, I’ve tried to capture that same energy and excitement. Being an author is a marathon, not a sprint. If you’re in this for real, then you’re going to be in it for a very long time, with all its ups and downs and moments of spiraling despair. Find happiness in the act of writing itself rather than some arbitrary goal post you set for yourself. Tamara: One trick to consider for writing good banter and dialogue is to read the screenplays of movies or TV shows that you think do it particularly well. (The Gilmore Girls and The West Wing are my go-to choices.) Because screenplays are mostly dialogue and only use prose for basic direction, they have to be exceptionally good at building entire characters based on how they speak—especially in terms of word choice and phrasing. They’re a great tool whether you’re just starting out or struggling with your 20th book. Tamara: My first two years of college were spent studying to be a paleoanthropologist. I spent a huge part of my teens reading about human origins, excavation, and the Leakey family, and I was prepared to move to Africa and toil under the hot sun to make my contribution to science. Then I took a class on Mary Shelley’s Frankenstein, and everything changed. The professor lured me into the English Department with promises of more great books to read, and I’ve never looked back since. KRL: Do you have a fun Halloween memory to share? Tamara: When I was a teenager who was probably too old to be Trick-or-Treating, but who still very much wanted free candy, my friends and I dressed up as Christmas carolers. We went from house to house singing (very early) holiday songs in hopes that our contribution would make up for the fact that we really should have left the treats to the children. It worked like a charm. People loved us, and I don’t think I’ve ever matched that haul since. To enter to win a copy of Séances are for Suckers, simply email KRL at krlcontests@gmail[dot]com by replacing the [dot] with a period, and with the subject line “suckers,” or comment on this article. A winner will be chosen November 3, 2018. U.S. residents only. If entering via email please include your mailing address (so if you win we can get the book sent right out to you), and if via comment please include your email address. You can read our privacy statement here if you like. Check out other mystery articles, reviews, book giveaways & mystery short stories in our mystery section. And join our mystery Facebook group to keep up with everything mystery we post, and have a chance at some extra giveaways. Also listen to our new mystery podcast where mystery short stories and first chapters are read by actors! They are also available on iTunes and Google Play. The latest episodes are perfect for your Halloween listening! Great interview! This book has been on my TBR list for awhile now, and sounds delightful. Congratulations on the book! This sounds like the beginning of a good series! Sounds like a great new series to read. Thanks for the giveaway. When we moved back to Brooklyn after “Mommy Dearest” got her divorce down in Florida (in the 50’s women couldn’t file. We had to head south for her to do it) We moved in my maternal Grandmother’s home. I found Ouija board and my friends and I tried to make it do something. Thankfully nothing did. I’d love to read this. Thanks for the opportunity! Fascinating feature and giveaway and a wonderful and interesting interview. Thanks. I have this book on my TBR list. Can’t wait to read, sounds like a fascinating book. Sounds like my kind of book. Cute cat on the cover, by the way! LOL.